Sometimes even the most rugged forklifts and energetic crew members may struggle to move certain objects. While heavy objects present a unique challenge, awkward shapes make any object more difficult to transport. This is especially problematic for delicate items such as fuel drums. The Workplace Depot is proud to offer a product designed to improve the output and speed of industrial projects without taking shortcuts when it comes to safety. The Rim Grip Drum Handler is a fork lift accessory designed to move fuel drums in a sturdy and safe manner. 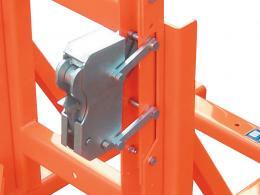 Whether the drum is plastic, steel, damaged, closed, or open, this unit can move it securely and swiftly. What is The Purpose of The Rim Grip Drum Handler? While the weight of most fuel drums can be easily supported by standard fork lift or several crew members, the awkward shape of the unit increase the difficulty of this task. Its round shape makes it difficult to balance on standard fork lifts, and the shallow rims are very difficult to grip with bare hands. This unit is designed to safely grip, hold, and transport fuel drums. A robust unit capable of handling heavy drums, this unit is also very easy to attach to any standard fork lift. 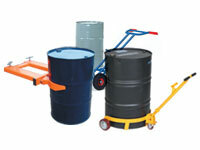 The rim grip drum handler is a very handy addition to any location where fuel drums are moved frequently. No site manager wants to disrupt technicians from their respective tasks to have them move heavy and awkward fuel containers, but using a traditional fork lift can prove to be a safety hazard. 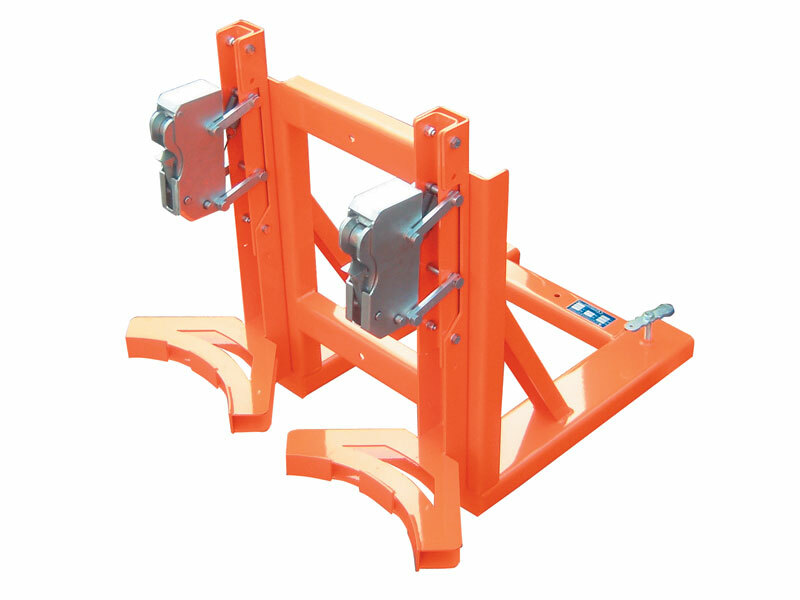 This attachment can be used with any fork lift to provide the precision, strength, and durability needed to move fuel containers in a quick and safe manner. Any construction manager who frequently has fuel drums onsite can benefit from having this attachment on hand. Since speed and safety are always a concern, utilizing the right tool for the job is vital. This unit is easy to attach and remove, so any technician can easily learn to operate it effectively. The unit can hold up to two drums with each weighing up to 750kg. The adaptable design allows for it to handle drums of various diameters and fork lifts up to 125x50mm in size. 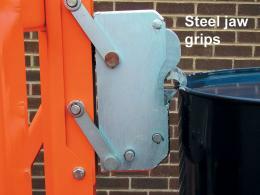 Don’t sacrifice speed or safety; get the rim grip drum handler today!